​Combination Atlas Map of Rock County, Wisconsin, compiled, drawn and published from personal examination and surveys by Everts, Baskin & Stewart, , Chicago, IL, 1873, (Copyright by RCGS, 2010). 1873 Plat Map La Prairie & Turtle Twps. 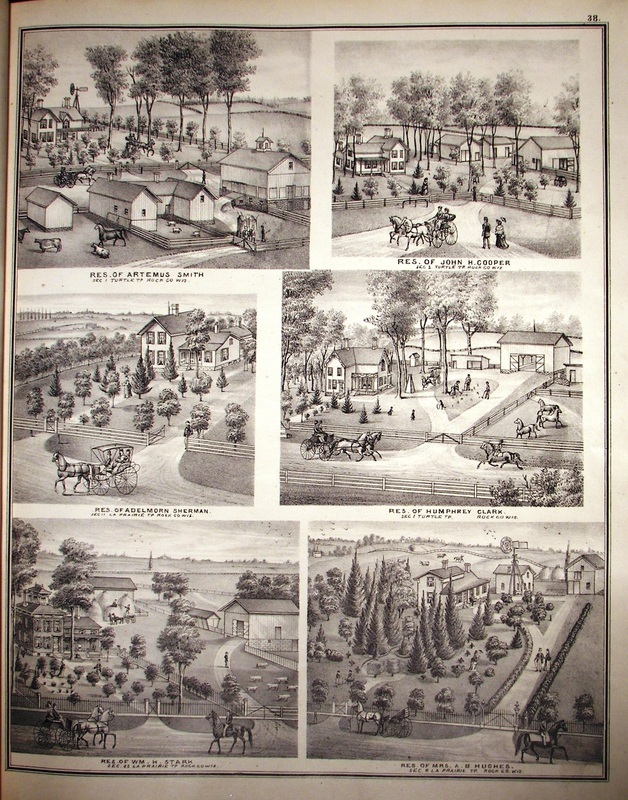 lithograph: Artemus Smith, John H. Cooper, Adelmorn Sherman, Humphrey Clark, Wm. H. Stark and Mrs. A. B. Hughes Residences.